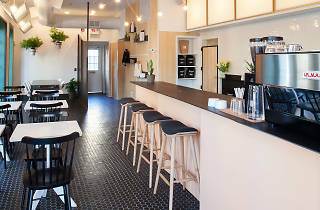 Standing on a corner in charming Bella Vista, Rally is a refreshingly bright and chic space with ample seating and a menu of Pennsylvania-based coffee and grub. The coffee drinks are excellent—bold and flavorful, whether you’re getting an espresso or something milk-based—and roasted by Lancaster beanery Passenger Coffee or Old City’s Inspired Brews. 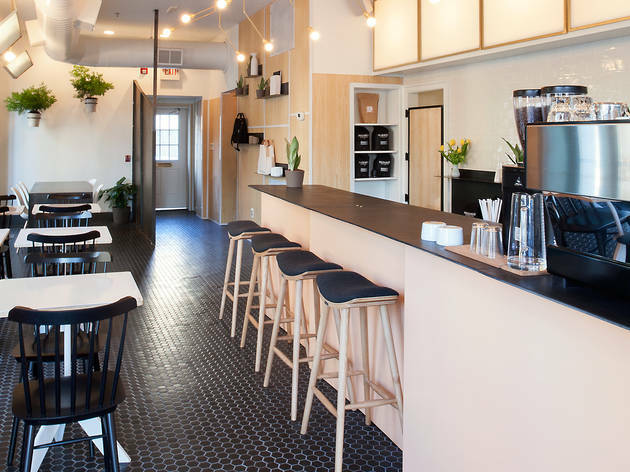 You can also order from a small menu of sandwiches made by Olney’s Philly Bread, or go the sweet route with pastires by South Philly’s Machine Shop Boulangerie or to-die-for ice cream sandwiches by Fishtown-based frozen treats shop Weckerly’s. There’s even a wall in the back filled with arts, crafts and home goods made by local makers. Outside of the goods, Rally is a triple threat of sorts given that it also serves as an ad agency and co-working space. A $100 monthly membership nets you free cups of coffee and a discount on standard café fare. Casual visitors in need of a spot to work can access a reservation system, which allows you to secure a table (for a small fee) without having to worry about finding a place to squat.